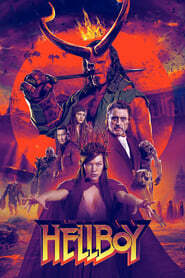 Hellboy is a 2019 Action Adventure Fantasy movie directed by . It stars David Harbour, Milla Jovovich, Ian McShane, among others. Hellboy is currently rated 5.2 stars on the ReelBugs scale. Haha, you almost got me. Now stop fooling around and show me the real trailer. When they said they r making r rated bloody gory darker version of Hellboy... I expected some seriousness. I agree with the general consensus here. It looks awful. The cgi looks great but the acting looks terrible (mainly Hellboy) and just not natural. Bring back Ron Perlman. Somebody tell me how, after like a decade, the makeup for Hellboy is worse than the original. They could have kept the original cast in my opinion. It will be a hell of a challenge to beat Del Toro... Good luck. The Ron Pearlman versión is a lot better than this. Hellboy's face looks like he got 10,000 botox shots! Another one gone, and another one gone. 'nother franchise bites the dust. !! Sorry, this reboot needs to get the boot. Hellboy is funny but not that funny. This reboot looks more like a parody. Boo! how the f is the CG worse than 2004 one???? This trailer has a really weird tone, almost like an action comedy. I thought it was supposed to be more darker, and more of a horror movie. I will never forgive the studios for not making a Del Toro directed hellboy 3. That being said, this actually doesn’t look that bad. Interesting visual style. Looks like a slapstick direct to video version of the original film they never had to remake. ....or a really really well funded crappy fan film. Might end up being a good movie but that's a damn bad trailer. Who else disappointed this movie? Lots of people unfairly trashing on this just from the trailer in my opinion. I thought Ron Perlman was great as Hellboy and I think David Harbour looks great too. The movie is rated R and this Hellboy looks a little rougher and darker. I think replacing Guillermo Del Toro is a much bigger task than Perlman, and that's not a shot at Neil Marshall. He has done some good things for both TV and movies. Too early to tell if this movie with be a hit or miss. I'm certainly not damning it already though. Why does hellboy look like a homeless mouth breather? Looks cool. Definitely a candidate to go along side one of my absolutely favourite films, Howard the Duck. Trailer actually looks better than film..
Wth original actors all but o e are gone? The one has a different role! And now whole different setting and story line? Well.....This is a joke, Not really looking forward to this. Ron Perlman was my introduction to the franchise and I just can't do it without him. It's like remaking Star Wars without James Earl Jones.